Window sills are a great opportunity to show your collection of antique vases. For many of us window sills are great areas that most of the time receive direct natural light. These little nooks can often pass unnoticed, so wouldn’t it be nice to add some personal touch to yours? 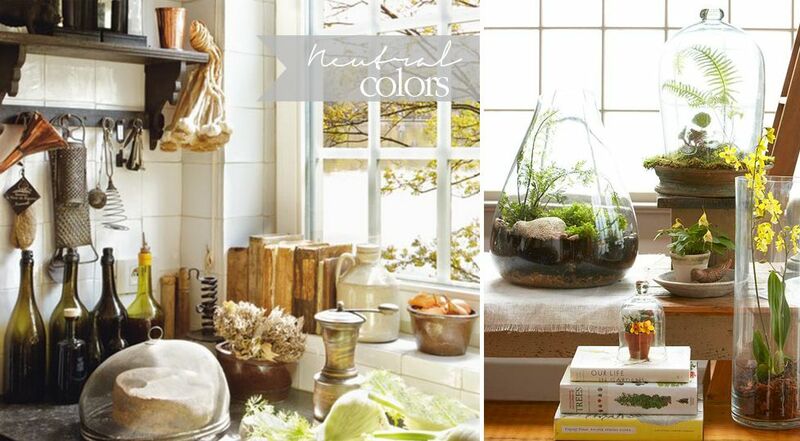 The window sills can be adorned with anything going from plants to a collection of colored bottles. What ever your heart fancies, here are some lovely photos to get you inspired. Sometimes we have windows sills near the kitchen. If this is your case, feel free to place your cooking books here. This will add a personal touch to the space (Photo: A Place to Dream). 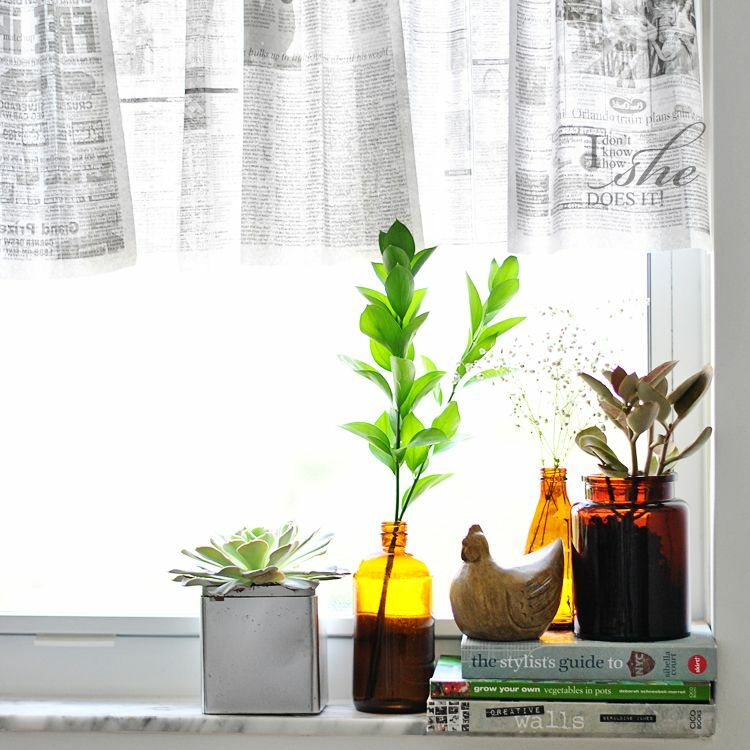 For the terrarium lovers, window sills are the best place for this little small worlds (Photo: Better Homes and Gardens). 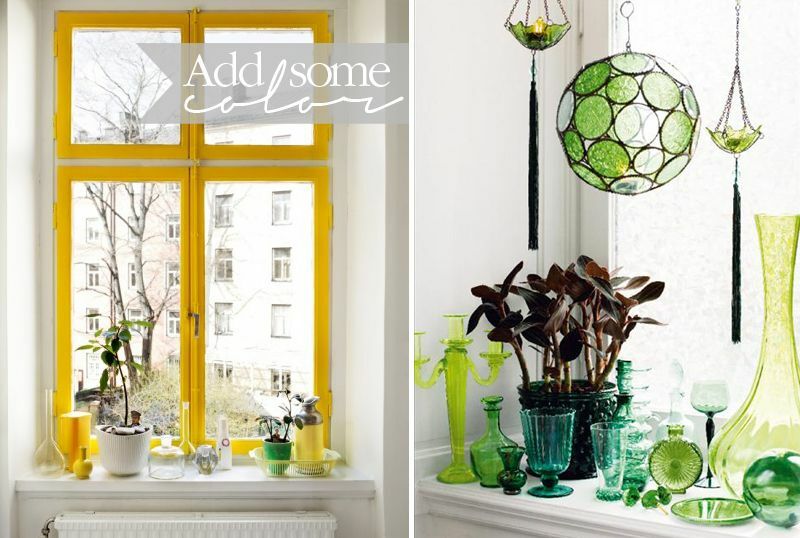 Add a little color either by painting the frame of the window (Photo: Elle Interior) or by placing some colorful glass or vases (Photo: Skonahem). 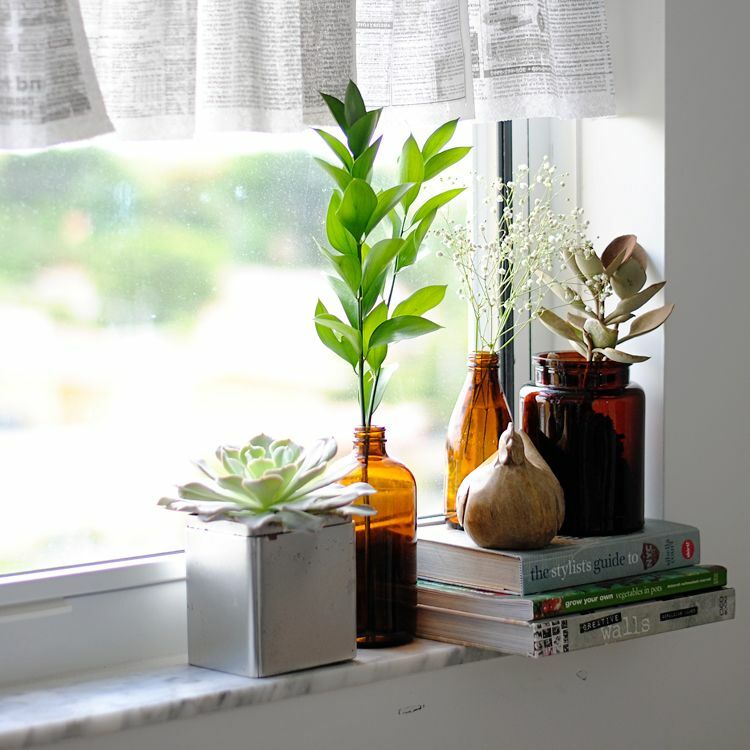 Glasses around the window sills can be a great opportunity to let more light go in. 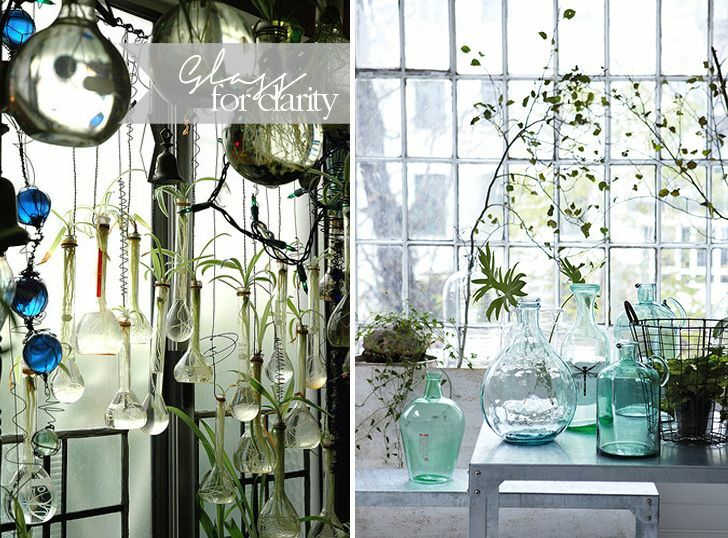 On the photo at the left by Moon to Moon the glasses double function as vases for air-plants (How fabulous!!). On the photo at the right, the big aqua vases are a wonderful sublime accent for windows (Photo: House Doctor Dk).